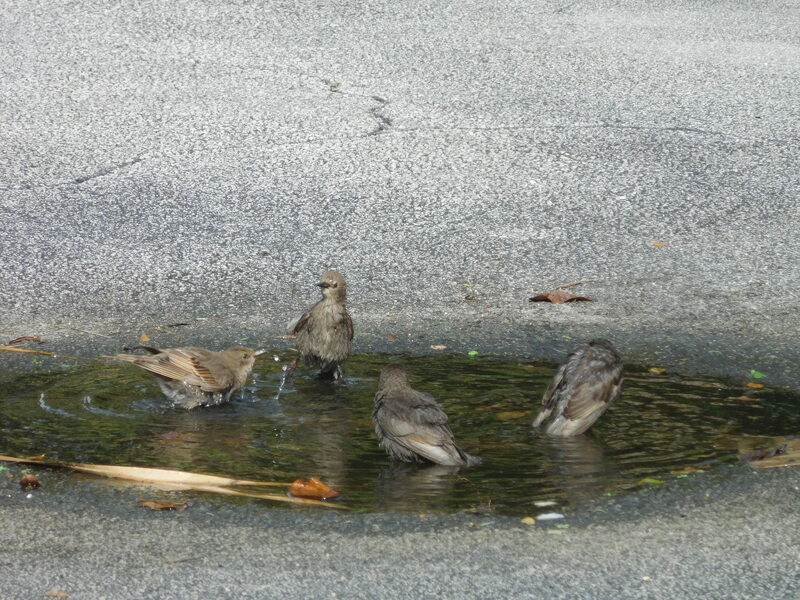 Bird bath in the parking lot. Any port in a storm. They better hurry though, it's fading fast now. Fun watching though.